Product prices and availability are accurate as of 2019-03-02 22:58:50 EST and are subject to change. Any price and availability information displayed on http://www.amazon.com/ at the time of purchase will apply to the purchase of this product. 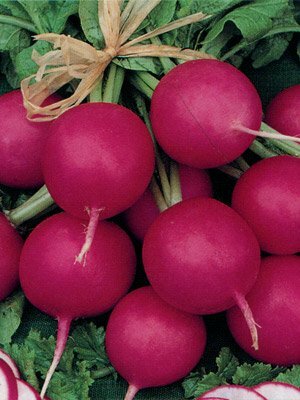 Pink Beauty radish is wonderfully uniform with bright pink, perfectly round radishes. A high quality radish that is a real show stopper. Crisp, tender, tasty flesh that resists pithiness. Pink Beauty sells extremely well at farmers markets.